The KPT Towed Railway Electric Cart is powered by dragging cable. It has been widely applied in these fields, such as construction, steel plant, shipyard, chemical industry, etc. The Towed Transfer Cart can be applied in the occasion such as high temperature, anti-explosive environment. Simple structure and low cost make it very popular for crossing bay transportation. It is suitable for running distance less than 20m, high using frequency, low demand. And the towline is alternative to prevent the cable from abrasion if necessary. 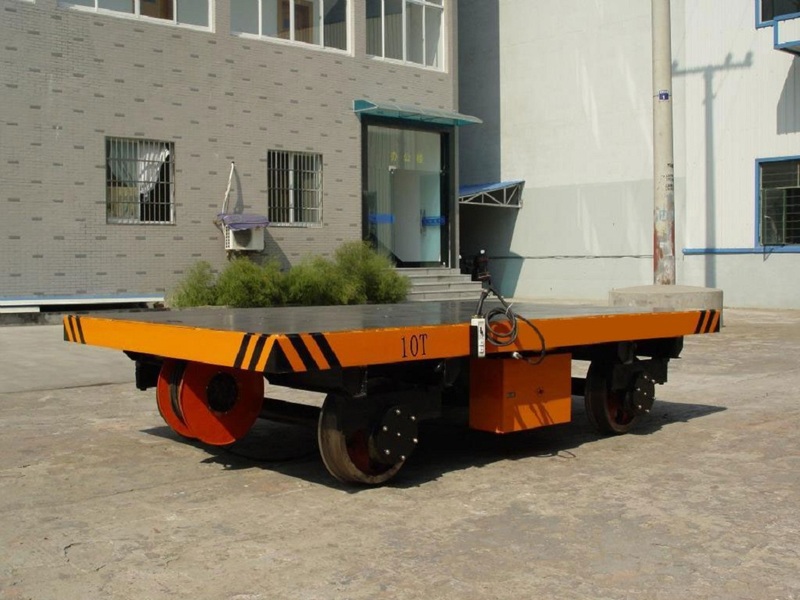 KPT Electric Towed Railway Transfer Cart for sale is designed for transporting heavy cargoes or equipment from one bay to another in factory. It can be used indoor or outdoor. The fields include metallurgy, foundry, new factory construction and shipbuilding and so on. With different styles and standard capacities up to 300 tons, we have the solution you need and each style can be designed for your specific application.